Organizations can realize huge benefits via smart and well-planned application of IT resources to improve the knowledge, efficiency, and integration of GRC professionals and activities throughout the organization. 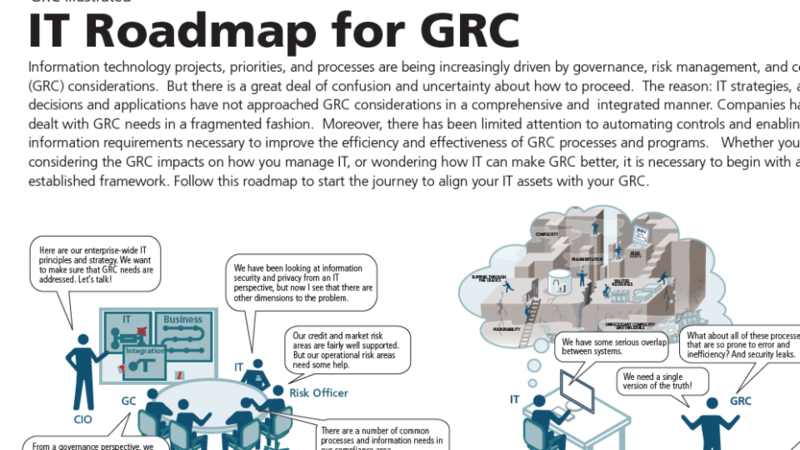 We have emailed instructions to access Illustration – What Is The IT Roadmap For GRC to . Make sure the email arrives in your inbox: either add "support@oceg.org" as a safe sender to your email platform, or if you use Gmail, drag our email into your Primary tab.